Dubai: Tallaab Al Khalediah is primed to defend the $1 million Kahayla Classic, sponsored by Mubadala, after having maintained an exemplary record of nine wins from nine starts. 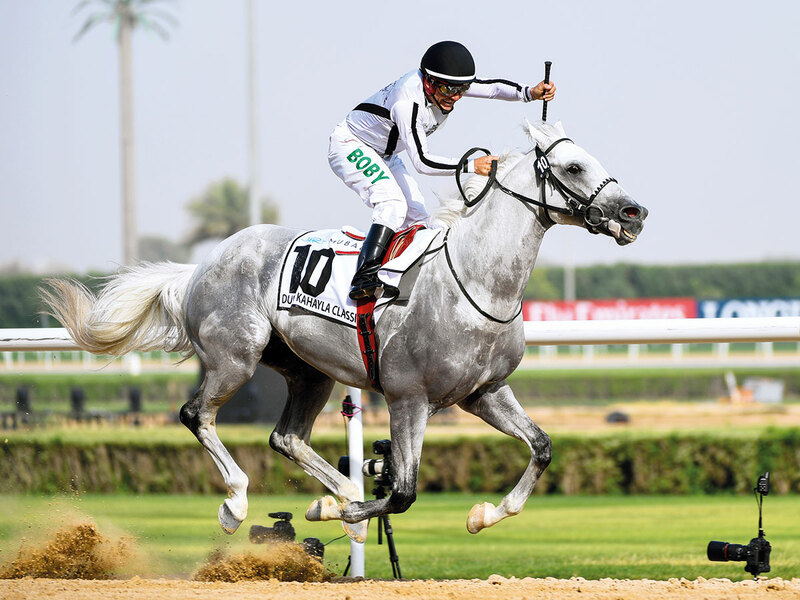 The lightly raced eight-year-old created history last year by becoming the first horse owned, trained and bred in Saudi Arabia to win the sole Purebred Arabian race of the Dubai World Cup meeting. Having won the 2,000-metre Group 1 race at the Meydan 12 months ago, Tallaab Al Khalediah is returning on a high after winning all his four starts since then. 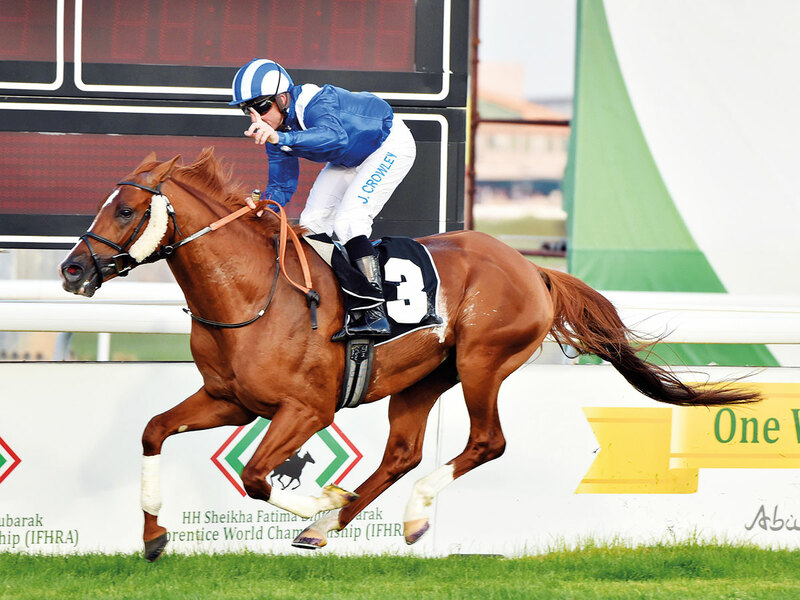 He was impressive in his last race, when winning the Prince Sultan Bin Abdul Aziz World Cup in Saudi Arabia by more than 10 lengths over Fazza Al Khalediah, who is also in this year’s Kahayla Classic field. If you take the Saudi horse out, it is a wide-open race. AF Maher and AF Al Sajanjle are in good nick and we expect them to be competitive in this strong field. If there was one setback for him, it may be the absence of his trainer Mutlaq Bin Mashref, who is serving a one-year ban from the Emirates Racing Authority (ERA). Bin Mashref was found guilty to a charge under the provisions of ERA to have had a cobalt administered to Nader Al Khalediah in the inaugural Gulf Cup at the Sharjah racecourse on February 16. According to Ernst Oertel, who trains AF Maher and AF Al Sajanjle in the race, Tallaab Al Khalediah is the horse to beat. “If you take the Saudi horse out, it is a wide open race,” said the South African, who leads the UAE trainer’s championship race this season with 46 winners. AF Maher won the Group 1 Al Maktoum Challenge Round-3 over the Kahayla Classic course and distance on February 28 and is the choice of the stable’s first jockey Tadhg O’Shea. AF Al Sajanjle comes into the race on the back of his victory in the Group 2 Mazrat Al Ruwayah over the shorter 1,600-metre distance. Keep an eye on Chaddad, last year’s runner-up, now trained by Salem Bin Ghadayer for Shaikh Hamdan Bin Mohammad Bin Rashid Al Maktoum, Dubai Crown Prince and Chairman of Dubai Sports Council. Eric Lemartinel has three entries spearheaded by Mawahib, fourth in the race last year and the choice of stable jockey Patrick Cosgrave. The other two are Darius Du Paon and Amwaj. Also in the reckoning is Al Rashid Al Rayhi’s Al Zahir, fifth last year in the Kahayla Classic. The five-year-old is a winner of the HH The President of the UAE Cup in the last two years. Another couple of interesting runners are Al Shamoos, trained in France by Charles Gourdain for Shaikh Tahnoun Bin Zayed Al Nahyan, UAE National Security Adviser, and Fazza Al Khalediah trained in Poland by Michal Borkowski.